Origins of Life: A Means to a Thermodynamically Favorable End? What is the difference between a rock and a turtle, between a spoon and a salamander? 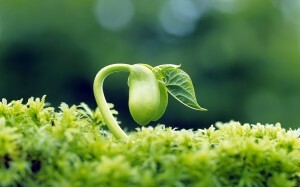 Life: a sacred, intangible entity. But Jeremy England, Assistant Professor of Physics at the Massachusetts Institute of Technology, argues that life is not so special. While most conceptions of the origin of life are based in biology, England has formulated a theory based in physics instead. “You start with a random clump of atoms, and if you shine light on it for long enough, it should not be so surprising that you get a plant,” England said. 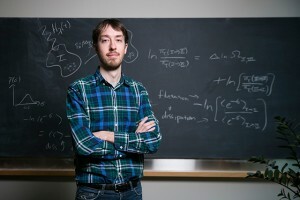 Jeremy England, a 31-year-old professor of physics at MIT, claims energy dissipation is the foundation of all physical processes in both living and nonliving systems. Image courtesy of Quanta Magazine. England’s theory on the origin of life is founded in “dissipation-driven adaptation of matter,” in which all forms of matter, living and nonliving, adapt to produce the maximum amount of energy. This way of thinking about the physical world diverts attention away from a Darwinian explanation for adaptations, instead pushing scientists to consider dissipation-driven natural selection. England’s physics-based theory is not without criticism, but no doubt he is challenging conventional viewpoints on the origin of life to expand our understanding of evolution and life itself. England’s theory stems from the second law of thermodynamics, which states that entropy, or dissipation of energy, is constantly increasing in the universe. Since energy is always dispersing, there is no chance of energy spontaneously bunching together. Consequently, there is no chance of spontaneous generation. In fact, de-concentration of energy is a process common to all living things. For example, plants convert the Sun’s concentrated energy into a lower energy form, infrared radiation. Still, plants contain a higher concentration of energy than their surroundings, thus contradicting the second law of thermodynamics. The explanation for this phenomenon lies in the fact that plants exist in an open system, as opposed to a closed one. In a system that receives a constant input of energy from an external source like the Sun, energy can be distributed unevenly to allow for certain processes to occur, as long as this uneven distribution of energy is balanced by a conversion from high to low energy. Once life begins, its probability of continuing to exist compounds with time, as researchers Chris Jarzynski and Gavin Crooks proved in the late 1990s. They discovered that atoms in a high-temperature environment gradually arrange in a way to dissipate more energy in order to “resonate” better with their environment. This molecular observation can be extrapolated to Earth’s primordial soup, into which the Sun constantly poured energy. Essentially, this research suggested that dissipating more energy more efficiently is advantageous to life. Nature has two ways of dissipating energy more efficiently: replication and organization. It is only logical that two energy-dissipating factories release more energy than one. There is also no doubt that a tree, an organized biological structure, is better at reducing energy than a heap of carbon, nitrogen, and oxygen atoms. In the context of this theory of “dissipation-driven adaptation of matter,” the evolution of life takes into account more than just “survival of the fittest.” Natural selection favors the most energetically productive. Beyond evolution, England’s theory makes us rethink everything around us. “Dissipation-driven adaptation of matter” applies to all forms of matter and energy in the physical world, from the formation of volcanoes to the crystallization of snowflakes. In England’s line of thinking, life becomes merely an instance of the world’s most fundamental physical phenomenon. The thought is harrowing. Can life truly be defined by a thermodynamics equation? Would the success of England’s theory mark the death of religion? This physics theory for the origin of life is certainly controversial, and it is only in its budding stages of development. England has yet to test his theory on biological systems. Even if England’s theory proves to be successful in organisms, this major breakthrough will not be immediately accepted by the scientific community and the world at large. England’s research builds on the work of Ilya Prigogine, who founded this theory in the 1960s. Almost 50 years have passed, yet this theory is only now being tested on biological systems. It may be another 50 years before this theory is fully validated. Whether or not England’s theory holds the essential key to unlocking the secret of life, it is at least one of many keys. Life may be spontaneously generating all around us in a plethora of unseen ways — chemical and physical, in addition to biological. It is important to keep in mind that, even if England’s theory is proven valid, it is still only a theory, one possible explanation that adds to the boundless human fascination with life’s origin, end, and purpose. Whether you agree with England’s theory or not, one claim is unquestionable:Life is beautiful. Image courtesy of damazen.com.